Looking for unique things to do in Sicily, Italy? 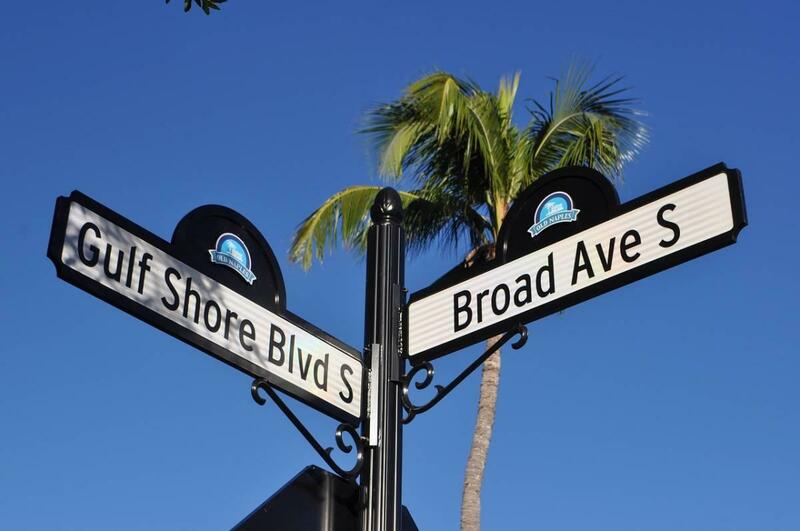 This guide from contributor Michelle Polizzi reveals all the hidden gems you need to fit into your upcoming itinerary! From spoonfuls of pasta fagioli in fall, to the seven fishes feast each Christmas eve, my upbringing was interwoven with the tastes and traditions of Sicily. Even my last name — one that most Americans struggle to pronounce — is so common in Sicily that it’s akin to being a Smith or a Johnson. These are just a few reasons why, when I visited the sun-drenched island this past summer, I sought to see it both slowly and deeply — like my ancestors who once lived there would have. From its laid-back beaches to its history-filled ruins, here’s a list of five truly unique things to do in Sicily. Exploring Sicily wouldn’t have been complete without the accompaniment of my sister, who shares my mediterranean bloodline in equal measure. That’s why it only makes sense to start off this list with what I think was her favorite activity: going to the beach. Our favorite sandy spot to visit while staying in Ragusa was the Marina Di Ragusa beach. Quiet and calm, this beach is characterized by perfectly tepid water, a pristine, golden shoreline and an unmatched gelato shop called La Sorbetteria. The fun doesn’t stop there, though, especially if you’re a fan of detective and crime TV. 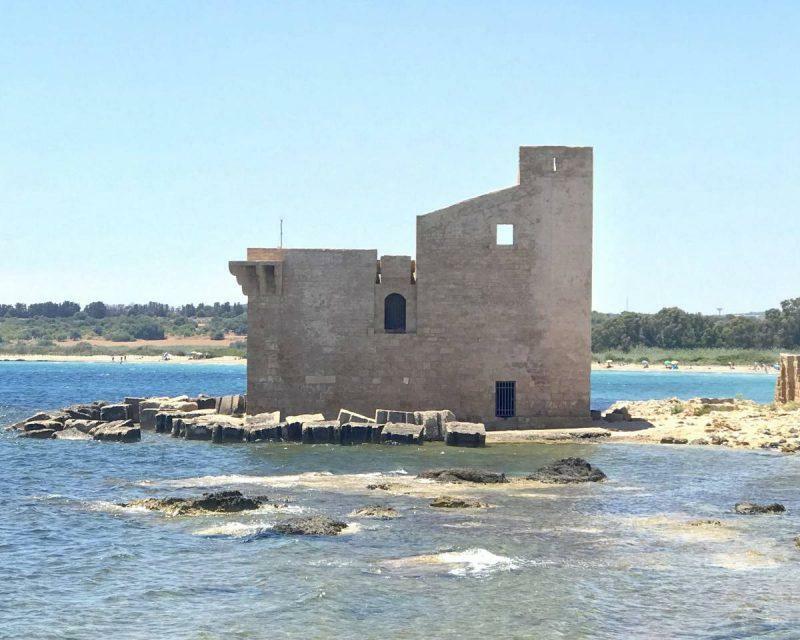 Just south of Marina Di Ragusa you’ll find the sandy stretch of Punta Secca — a major shooting location on the popular Italian Television show Inspector Montalbano. Tuning into a rerun of this beloved show is a great way to tap into Sicilian culture after a long day in the sun. Pro tip: You can catch the bus to Marina Di Ragusa from the city of Ragusa if you don’t have a car — it leaves from a stop just in front of the town’s main train station. 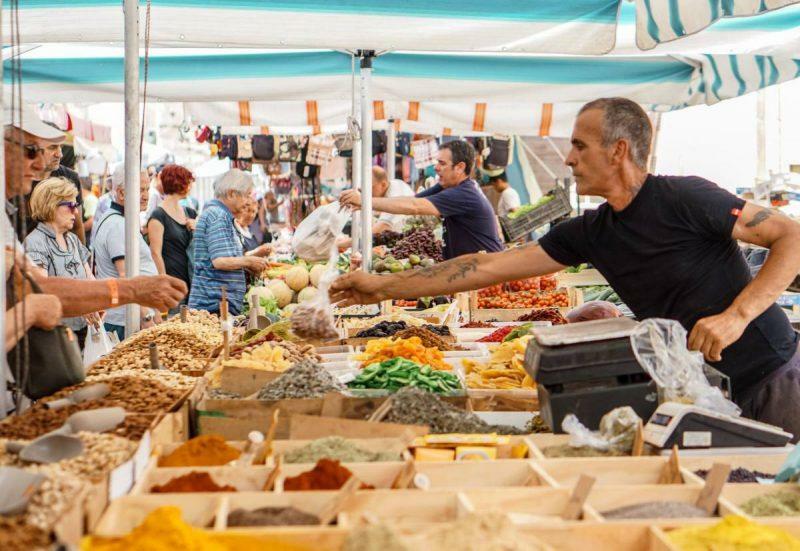 From the expertly-roasted almonds and pine nuts to the fragrant mounds of cumin, sea salt, and turmeric — Ortigia Market is a multi-sensory feast for visitors from around the world. 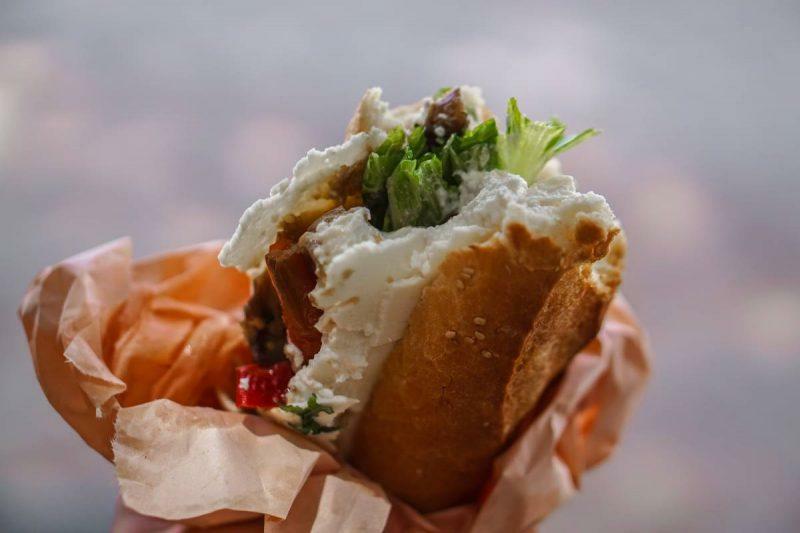 Indulge in the smells and samples of Siracusa’s gastronomic jewel before making your way to Caseificio Borderi, home of the best sandwich in Italy (if not the world). Grab a numbered ticket from the far end of counter and when its called, ask for the chef’s special. This will ensure that your sandwich is topped up with all the things: pistachio spreads and garlic pastes, marinated mushrooms and peppers, squeezes of lemon and dribbles of olive oil, juicy sundried tomatoes and the creamiest, melt-in-your-mouth cheeses you’ve ever tasted. Don’t be worried about getting something that you don’t like. The chef will name every single ingredient and ask for your approval before smashing, slicing and spreading it onto the fresh-baked stretch of bread. Pro tip: with so many vegetable-based toppings offered at this shop, it’s definitely suitable for vegetarians and would likely suit vegans as well. Travelers with limited time and long to-do lists might as well take the road to Rome because in Sicily, siesta is serious business. All travelers like a little snoozefest here and there, but even pro nappers might find Sicily’s daily three-hour rest excessive. 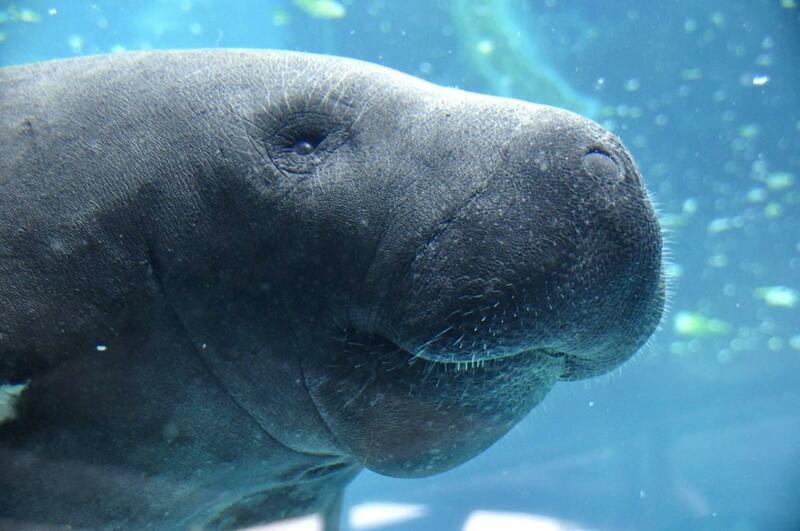 That’s why it’s important to seize this opportunity for undisturbed exploration. For me, these activities included exploring caves in the deep canyon, taking photos of the calm, empty streets, and lounging in the park and botanical garden. My sister and I would stroll, chat and people-watch our way across the beautiful gardens before finding a grassy spot to sit and indulge in our freshly bought Yogurtinis, a biscotti-shaped chocolate chip cookie from the local grocery store that we just couldn’t get enough of. Okay…so maybe we took a little nap right there in the park. But being under the breezy palm tree with fragrant herbs and flowers all around, can you really blame us for drifting off? Pro tip: the seriousness of siesta depends on the time of year you go. When temperatures are soaring above 100 degrees and you’ve just indulged in a plate of Pasta Alla Norma, closing up shop and napping in the shade won’t seem like a bad idea at all. 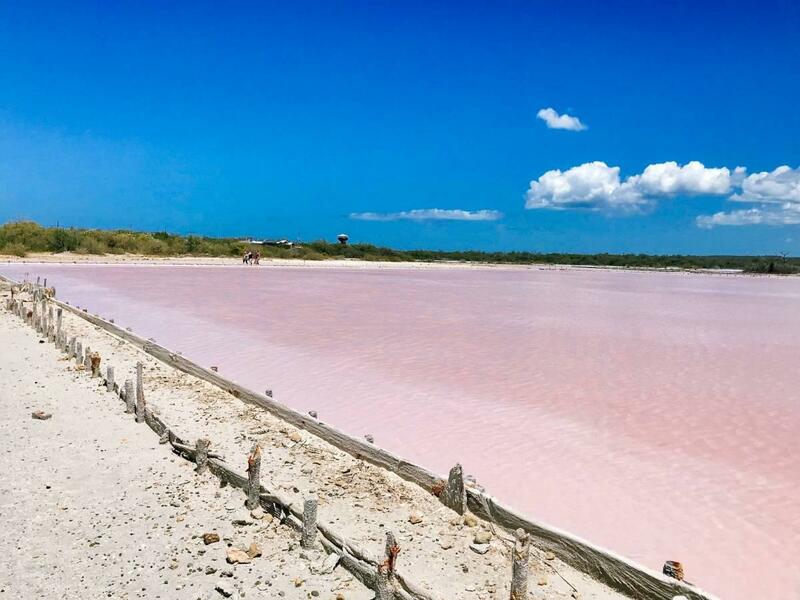 Surrounded by violet shrub flowers and groves of prickly pear cacti, Vendicari Nature Reserve is the type of place you can close your eyes, stretch your arms, and just breathe. Bird lovers can also keep their binoculars on hand for the flocks of flamingos that idle in the preserve’s marshy ponds. History buffs have a lot to see here, too: pre-automobile wagon roads and paleolithic catacombs dot the scrubby hills rising up from the coastline. The most impressive of these sites, believe it or not, is an old tuna processing plant. How could a place designed for catching and canning fish be beautiful, you ask? 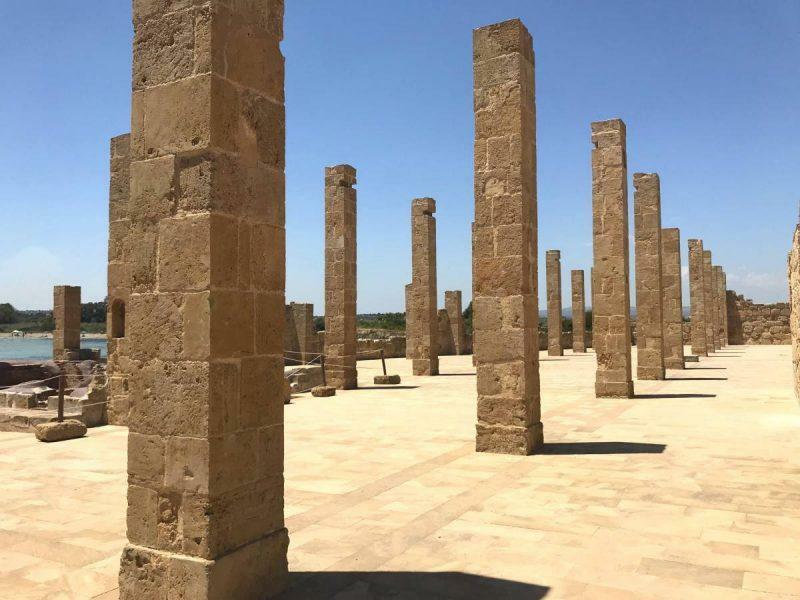 The Tonnara is the kind of place you just have to see for yourself. And when you do see it — with the Ionian sea lapping at its edges and its elegant smokestack reaching up towards the sky — you’ll realize that this industrial Atlantis beholds stores of wisdom you or I will never quite know. Pro tip: The Tonnara is adjacent to a clean, serene swimming spot that’s great for families, so be sure to take your suit and a picnic lunch so you can refuel and cool off before making the trek back to your car. 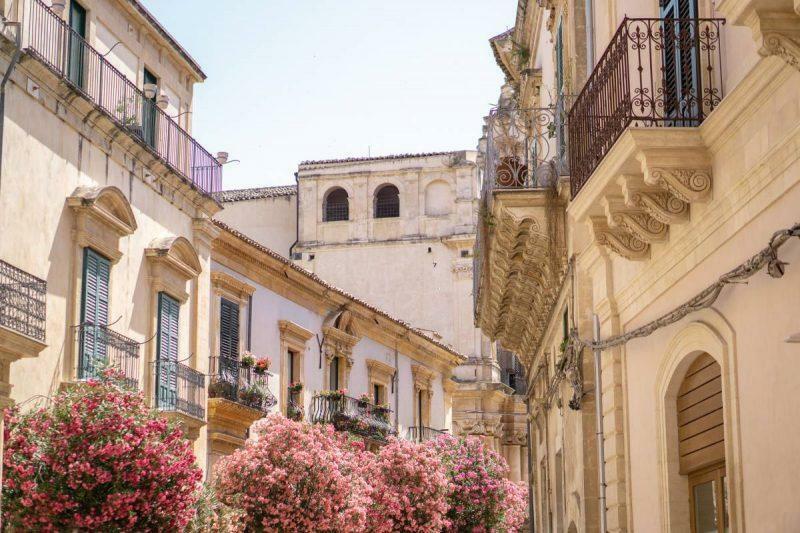 In the town of Scicli, you’ll find the same marble-floored cafe terraces and otherworldly cathedrals that fill the streets of Ragusa, Noto, and Modica. But Scicli is much more than just another baroque town. Why, you ask? Because it’s home to a rare treasure: Castello dei tre Cantoni. This fortress on the top of San Matteo hill was built in the 12th century and served as a protective structure for multiple kingdoms over time, including the Arabs the Normans. Hiking up this hill will certainly get your blood pumping but the view is well worth the strain: from the castle ruins at the top of the hill you’re afforded a gorgeous aerial view of the town and, not far beyond it, a sliver of turquoise sea. This strategic viewpoint made it easy to scour for pirates while keeping an eye on Scicli’s residents. 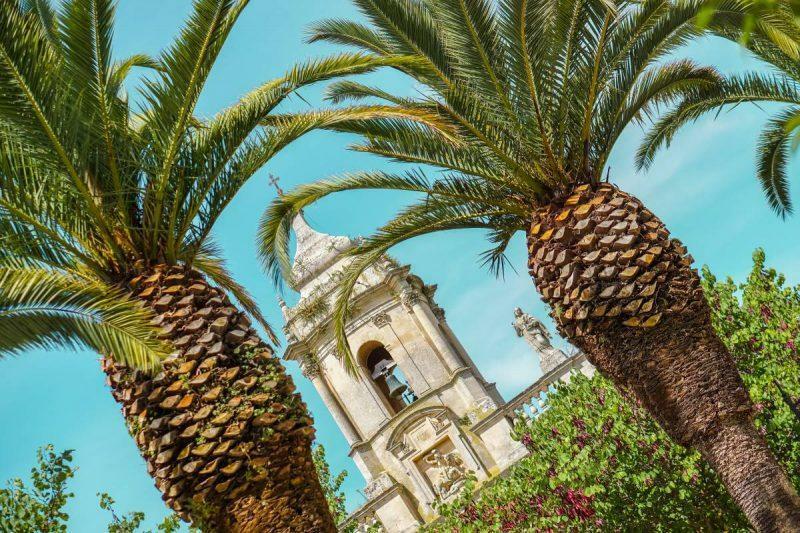 Pro tip: Sicily’s baroque towns are connected by the fast and convenient Italian train service, Trenitalia. Make sure to validate your ticket by sticking it into the little green machines around the station – having a ticket that’s not validated can subject you to hefty fines. But Aren’t There More Unique Things to Do in Sicily? You can’t truly see all that Sicily has to offer in just two weeks time. There are so many things that I didn’t get to see this trip: the seaside town of Taormina, the craggy hills of Polizzi Generosa and the beautiful runes at the Valley of the Temples. 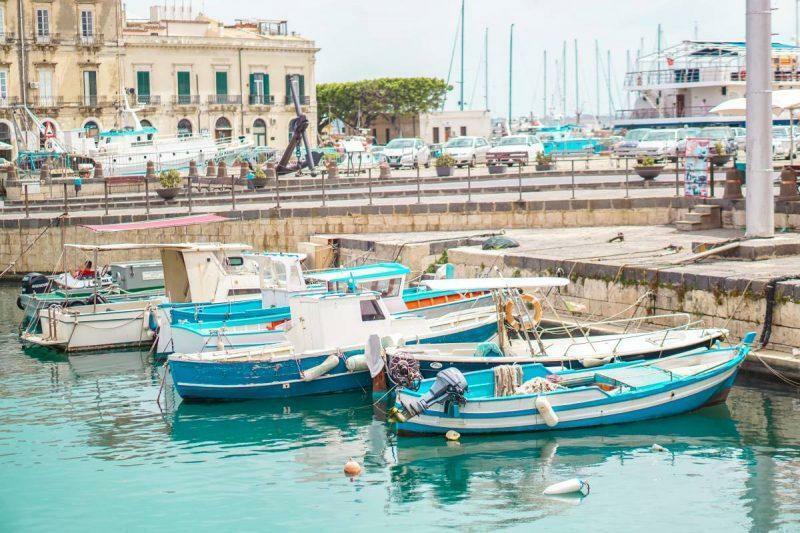 Yet, I knew that an unhurried approach to Sicily would offer the best chance to see it deeply; to indulge in the sights and flavors I wouldn’t otherwise have noticed if I were hurrying from place to place. I’m eager to get back to Sicily because I know that when I do, it will feel like coming home. 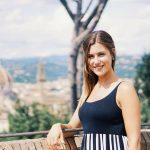 Michelle Polizzi is a freelance writer and solo traveler who believes in the life-changing power of self-love. She’s a big fan of walks through the woods, deep conversations, white sandy beaches, and cozy nights in. Follow her at michellepolizzi.com or on IG and Pinterest, @michellekpolizzi. Sicily is on my bucket list for next year, and now I can’t wait! Those sandwiches look amazing 🤤🤤 and I love any country that has siesta time 😂 fab post! For me Italy is always about the food. That sandwich looks on another level. Wow!!! !